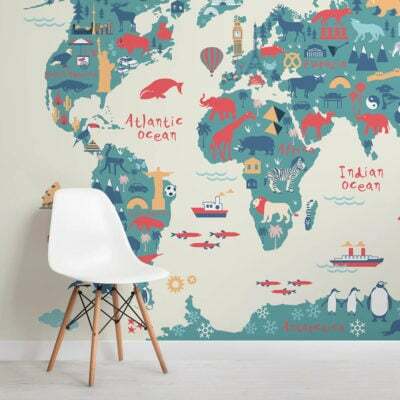 If you are looking for a mural with a touch of antiquated class about it then simply look no further than at our wonderful Traditional Old Style World Map Wallpaper. Designed to look like a cartographer’s map, this mural will provide your interior decor with a lovely vintage look. 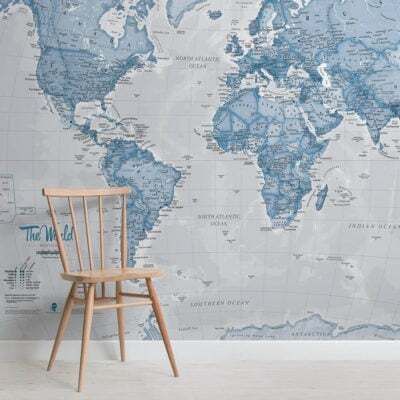 Our old world map wallpaper is a truly unique design that will elevate the interior decor of any room in your home to another level; it would look truly stunning in the living room, bedroom or office area.